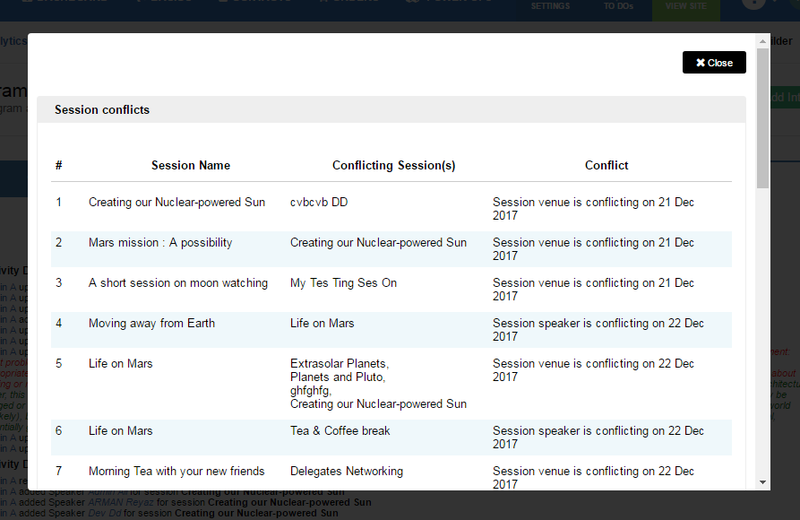 Until now, you were able to create program schedule, list speakers, check-in attendees to sessions et al. 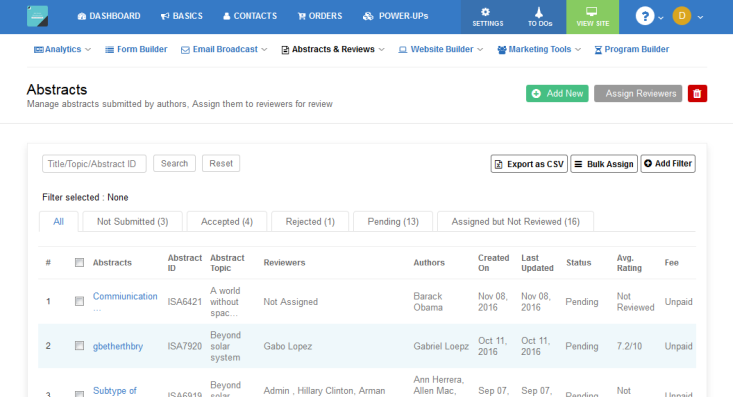 With this new update, admin would now be able to track all the changes made to the program agenda. Changes are now logged and displayed under Program builder tool’s Program Changelog. This helps admins know what changes are made when and by whom which further helps bring accountability among the team members. 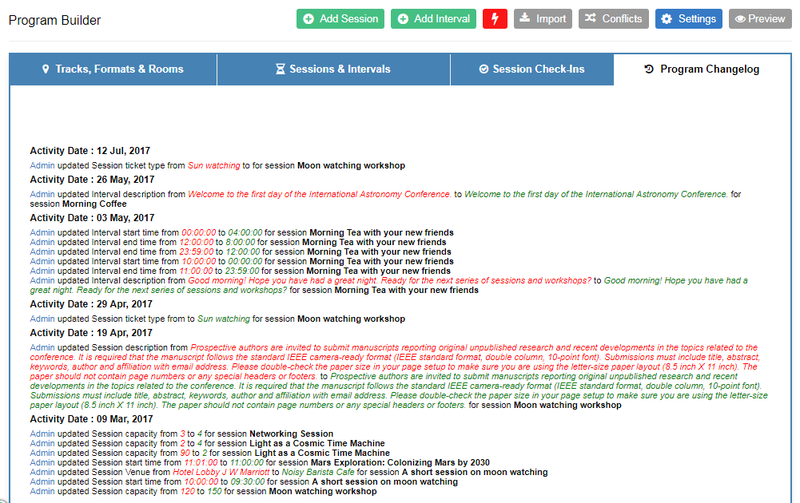 The changes that are logged include changes in sessions, speakers, session notes, time slot changes, venue changes, format and track changes.